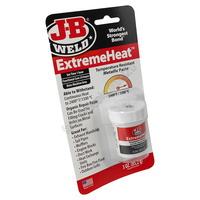 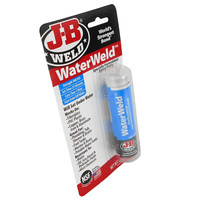 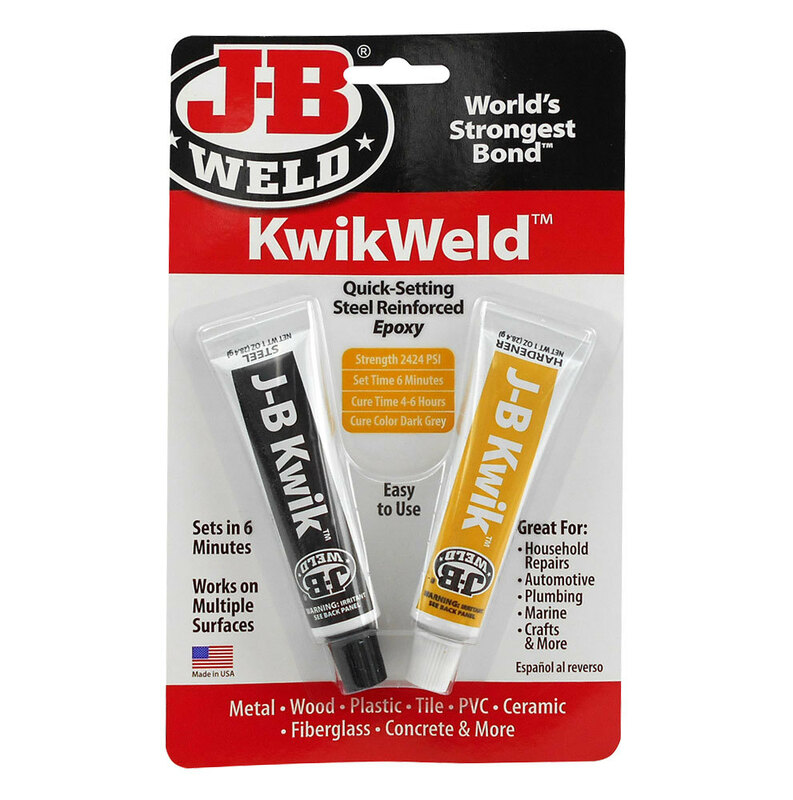 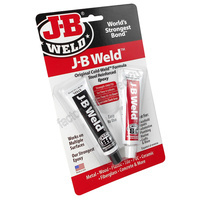 J-B KwikWeld is a fast setting version of the Original two part epoxy ColdWeld system that provides strong, lasting repairs to metal and multiple other surface types. 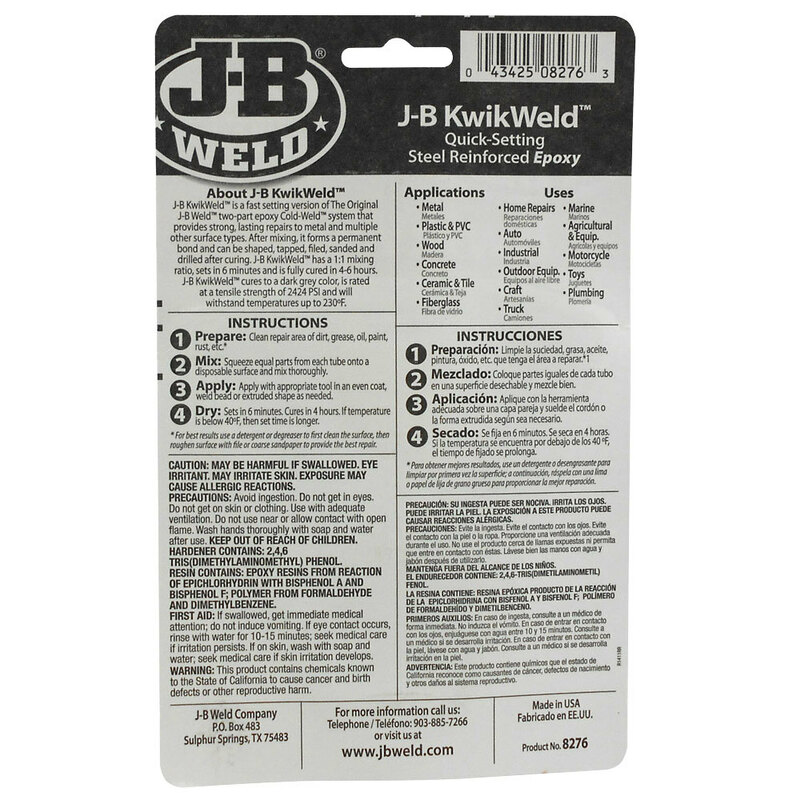 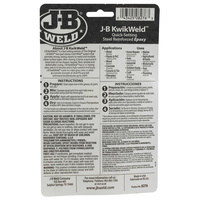 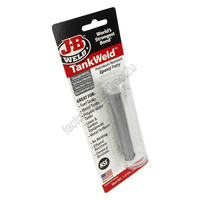 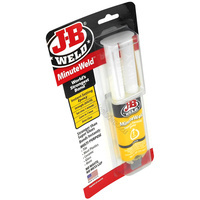 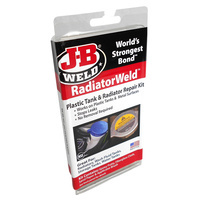 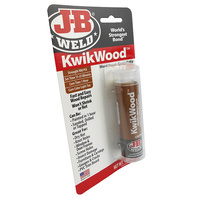 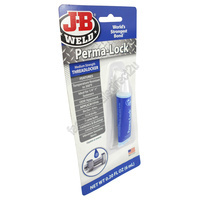 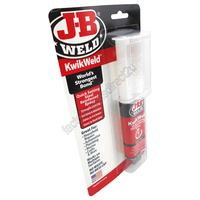 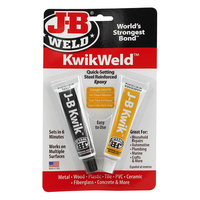 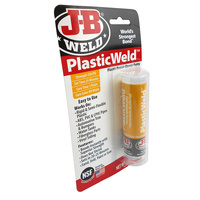 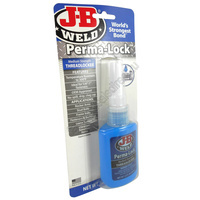 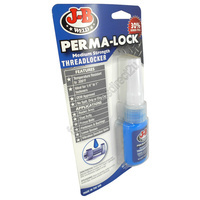 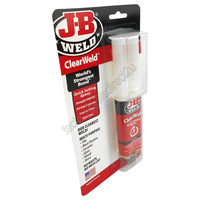 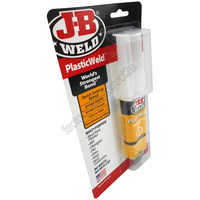 JB KwikWeld has a 1:1 mixing ratio, sets in 6 minutes and is fully cured in 4-6 hours. 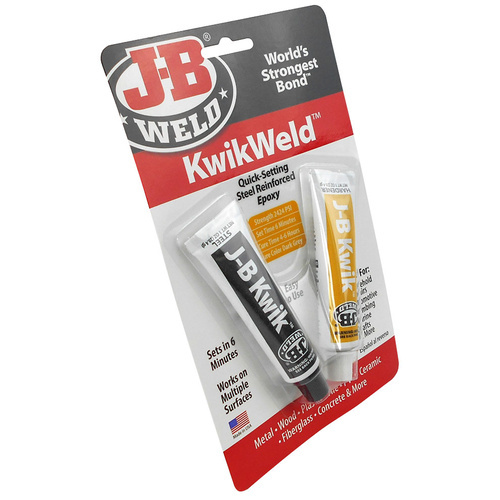 JB KwikWeld cures to a dark grey colour, is rated at a tensile strength of 2424psi and will withstand temperatures up to 230 degrees farenheit.